I write this update with praising God with the depth of my heart for the privilege I have of bringing a mission team (Sumpi, Daniel, Mama and Sa Moe Htet) to Tachiliek to visit Bryce Homes in that area. As we leave Yangon on May 18 by Bus, we arrived at Tachiliek on May 20. But this time Habakkuk could not join with us for it was a deu day of his wife giving birth a child. Praise God for hearing the news that a daughter was safely born on Sunday May 21 the same birthday with her father Habakkuk. I feel taking apart and serving is so precious. It is clear enough that they really live for God. On May 24, Timothy came to take us up to go to the remote area still very Isolated. No school for the children, no fine transportation and no communication with the rest of the world which is the animist village over the hills on food. At night, we show Gospel video with projector. After that we share Christ who created everything, who love, save and care for us and can forgive us from all sins and challenged them to accept Jesus and at once the Lord open the heart of the house owner wife with some of the villagers and accept Jesus. We are very tired and almost blame on Timothy for bringing us to that much far to walk on foots but we praise God by seeing the wonderful works of God there. Timothy has a plan to take care those children with him. On May 25, we continue teaching them how to live for Christ and Timothy baptized them in the name of the triump God and in the night we continue teaching them and challenged them to surrender thier whole lives to God and have the Lord supper. The church is not yet there before. So, please with us that the local church might be built according to the Bible there. On May 26, we came back to Bethel village where Timothy and Pheobe is a pastor. And we will be here up to Sunday night. 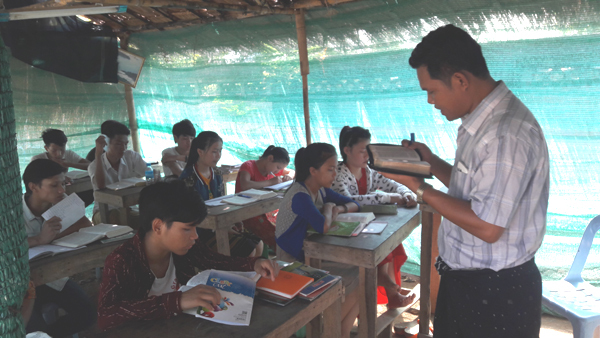 Sumpi teaches his specialize subject which is the book of Romans. Sa Moe Htet teaches Doctrine of the last thing in dispensatianal setting. Daniel teaches the danger of Laziness and IT, David Mama teaches how the believers to be like salt and the light of the world . I teach from Creation to the Lordship. 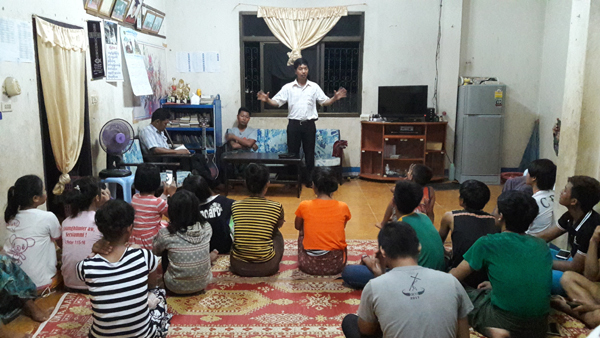 On Monday Juda (Bryce Home 15) will come to take us to Chailat town where he is ministering. Please continue with us by prayer. Rest for the time beeing.